Pune-based e-commerce logistics firm Xpressbees has raised about $12.5 million (around Rs 86 crore) in funding from its existing investors â€“ SAIF Partners, IDG Ventures India, NEA, Vertex Ventures, and Valiant Capital. "Xpressbees, aims to double the number of deliveries by next year," CEO Amitava Saha told VCCircle. The firm does over 1,00,000 deliveries a day, he claimed. Moreover, the company aims to expand its base to 100 more cities by the end of this year. Currently, it delivers to 200 cities, with 'same-day' and 'next day' delivery in nearly 100 cities. Last year in October, Snapdeal's parent Jasper Infotech Pvt Ltd had invested $20 million more in logistics firm QuickDel Logistics Pvt Ltd, which runs operations under the GoJavas brand. IDG Ventures India Advisors Pvt. 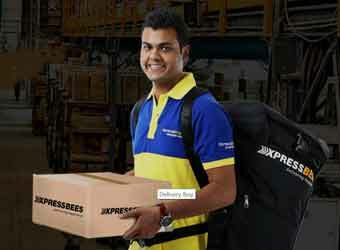 Ltd. Xpressbees Logistics Solutions Pvt. Ltd.